CastBox is the largest podcast app on Android with 5+ million users & 50+ million episodes. CastBox is also a winner of Google Play’s Editor’s Choice Award in 135 countries. 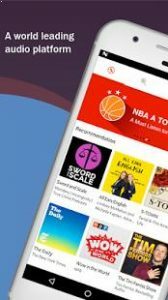 App offers continuous playback with customized playlists, the ability to download episodes for offline listening, and one-button subscription options. 50 million+ audio files. Cast Box lets you access over 50 million podcasts, radio channels & audio books neatly organized in 16 categories and searchable. Subscribe to top podcasters or discover trending ones in over 70 languages. 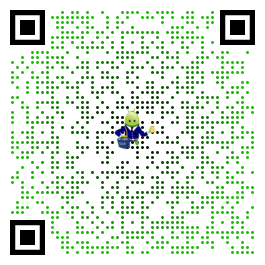 Subscribe to channels. Easy one-tap subscribe for your favorite podcast channels and receive notifications to stay up to date. Get personalized recommendations based on listening history and subscriptions, add comments to podcasts and share them with friends. Continuous playback. Create playlists with your favorite podcast content and let Cast Box play those continuously, without interruptions. Download podcasts to play them offline and keep your account in sync on all your devices with cloud synchronization. Become a podcaster. You can easily create an account and upload your podcasts. Cast Box offers free and unlimited storage with no restrictions, all you have to worry about is deciding the content of your next podcast. Easily upload or record your audio content via mobile or desktop device to create awesome podcasts. Leverage multiple channels supported by Cast box to easily share your podcast with the world. Use our advanced advertising algorithm to help you maximize and grow your target audience from listeners worldwide. Unlimited storage with no audio uploading restrictions. Hi Scott, Thank you for choosing Cast Box! We highly value our users, and are continuously finding ways to make your experience with Cast Box a better one. Would you mind giving us 5 stars? If not, do you have any suggestions on how we can improve? Please feel free to leave any suggestions. As always, thank you for your support!